BCGSA Promotes And Supports Golf Course Management In B.C. The BCGSA (British Columbia Golf Superintendents Association) is a society to promote and support the Golf Course Management profession in British Columbia. Provincially, each of its five regions (Interior, Kootenay, Lower Mainland, Northern, Vancouver Island) hold regular, regional meetings with education, networking and CEC opportunities that provide the framework to deal with all issues that affect our courses regionally and within the province of British Columbia. In addition to the regional events , the BCGSA hosts three provincial events that bring Superintendents together on a Provincial level. The BCGSA Exchange Tournament is rotated through each region annually and this year is being hosted at Fairmont Hot Springs Resort August 28th to 30th. Speakers, networking, and golf are a few of the highlights of this event. The BCGSA/VIGSA MS Fundraiser/Professional Development Days will again be taking place on Vancouver Island in November. Speakers, networking, and a silent auction are all highlights of this event that has raised almost $900K for Multiple Sclerosis. The BCGSA contributes to the WCTA Conference and Trade Show by providing a Pre-Conference seminar. In addition to these events, the BCGSA has announced that it will be working closer with the CGSA (Canadian Golf Superintendents Association) to deliver provincial services that improve efficiencies. One of these initiatives in February 2017 includes teaming on a joint conference in Victoria. Rounds 4 Research, which helps address a critical shortage of funding for ongoing, university-based agronomic research, education, advocacy programs and course operations through the EIFG (Environmental Institute for Golf). Audubon International, which offers an award winning environmental education and certification program called the Audubon Cooperative Sanctuary Program for Golf Courses. Currently 12 golf courses are certified throughout the province and 88 nationally. The BCGSA is actively encouraging golf courses to apply for and gain certification helping to support AGA-BC’s environmental pillar. 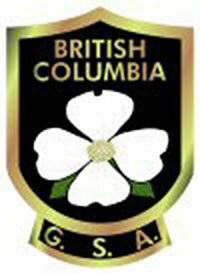 This entry was posted in News and tagged Allied Golf Association, BCGSA, CGSA by Bryan Outram. Bookmark the permalink.